(SPOT.ph) Miss International 2016 Kylie Verzosa didn’t think she woud become a beauty queen. After graduating from Ateneo de Manila University with a bachelor’s degree in business management, Kylie envisioned herself entering the corporate world and finding fulfillment in an office setting. Instead, the girl from Baguio City found herself competing and vying for the coveted crown in the Binibining Pilipinas pageant in 2015, bagging the Bb. Philippine Airlines Special Award, but not the crown. Admittedly, she felt quite disappointed and upset with the result of her first pageant. The following year, 2016, Kylie decided to give it another shot, with her eyes focused on winning the Miss Universe Philippines crown. While she fell short on her goal (top honors ultimately went to Maxine Medina who is now competing in the ongping Miss Universe pageant), she bagged the Bb. Pilipinas International title and earned the right to represent the country in the international pageant in Tokyo, Japan. With her mesmerizing face, slender silhouette, and graceful eloquence, she became a force to be reckoned with during the 2016 Miss International pageant, emerging victorious, and giving the country its sixth Miss International crown. Recently, Kylie donned another crown, being named the newest brand ambassador of the Samsung Galaxy A (2017) during the official launch held at the Bonifacio Global City, The Fort in Taguig. 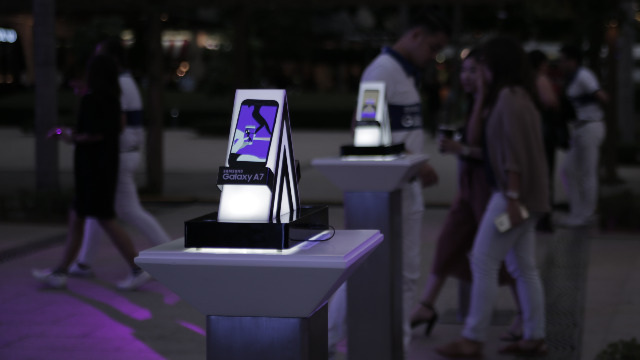 The latest devices—the Galaxy A5 (2017) and the Galaxy A7 (2017)—were introduced during an amazing water and light spectacle, featuring the heart-stopping performance by world-class dance group Gforce. Samsung believes that Kylie is perfect as its new ambassador. Just like the Samsung Galaxy A (2017), Kylie is smart, stylish, and always ahead of the game. She is also known for her winning ways even under pressure, comparable to how the Galaxy A (2017) is packed with premium features that stand out, even when faced with the challenges of rain, sweat, sand, or dust. During the launch of the Galaxy A (2017), SPOT.ph got the chance to talk with Kylie, learning a few things about the Beauty Queen with an attitude and personality. She wears many hats—or should we say crowns? Sans the crown and scepter, Kylie is a pre-school teacher at Playschool International in Bonifacio Global City, Taguig. Also part of the Professional Models Association of the Philippines, she has done ramp and print modeling. In fact, she shares that her various modeling stints enabled her to pay for her tuition in college. Kylie is constantly seeking to do more—whether as a beauty queen, a teacher, or a corporate warrior. Because of her busy lifestyle, Kylie requires a phone that comes with a fast-charging and long-lasting battery for hours of active use. She found her perfect match with Samsung Galaxy A7 (2017), which has a reversible USB Type-C port for easy connectivity and hassle-free charging. Kylie is not afraid to reveal that she used to have depression. The experience fuels her passion to inform people about depression and create awareness on mental health. She was once a volunteer for the Natasha Goulbourn Foundation, an organization that focuses on educating people on suicide and depression. In the Philippines, depression is grossly overlooked as a legitimate illness, and Kylie wants to change that mindset. As the eldest of four, Kylie takes the role of manang responsibly. She loves spending time with her siblings, as well as her parents. (TRIVIA: Her mother, Gemma Raquel Fausto, was a semi-finalist in the 1985 Bb. Pilipinas pageant.) A person who enjoys home, she also loves to bake cupcakes and brownies for her family. Creating good memories means having enough storage for all those photos and videos. The Galaxy A (2017) boasts of a 32GB internal storage, expandable up to 256GB. The phones also are also ultra flexible with a dual socket for two SIM cards and a microSD. As her way of connecting with her family, friends, and supporters, Kylie loves to post about what’s happening in her life on her social media accounts. That includes sharing selfies! Her Galaxy A7 (2017) allows her to do just that. Both Galaxy A (2017) phones have a large 16MP selfie camera. Users can also take amazing images even in low-light condituions with its F1.9 aperture. “What I like about it is, the rear camera is as good as the front camera,” she enthuses. The Galaxy A5 (2017) will retail at P19,990 SRP and the Galaxy A7 (2017) at P23,990 SRP. The Galaxy A5 (2017) will be available in Samsung Experience Stores and authorized Samsung dealers starting January 28, 2017, while the Galaxy A7 (2017) will be available starting February 4, 2017. You may also check out both variants online through Lazada. 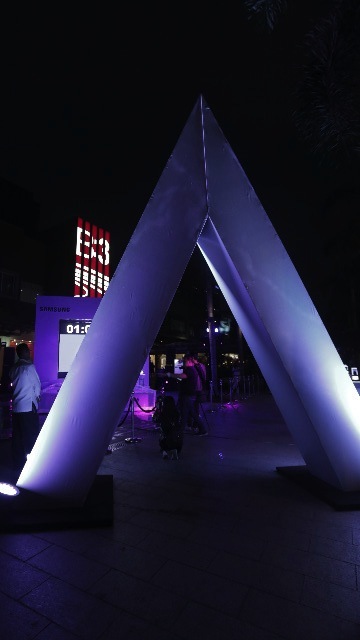 For more information on the Samsung Galaxy A (2017), click here.